It can be scary to find blood in your urine, even if there’s no pain associated with it. For men, blood in urine — also known as hematuria — may resolve itself without treatment, or it can be a symptom of several different medical conditions. That’s why it’s important to visit a medical professional who can determine the cause. What Does Blood in Urine Look Like? You’ll know you have blood in your urine if it looks red, pink, or brown. Typically, you won’t experience any pain. Even if the color of your urine returns to normal in a few days, there still could be blood cells present. What Causes of Blood in Urine in Males? It’s important to note that blood in urine can’t be specifically treated because it isn’t a medical condition in itself. It’s a symptom, and may be a sign of underlying kidney or urinary tract problems. Because of the wide range of potential causes, it’s important that you get a thorough examination from a medical professional to determine why blood is present. Male or female, pain or no pain, finding blood in your urine can be startling. If you are experiencing hematuria, contact your healthcare provider or visit your nearest FastMed Urgent Care as soon as possible. 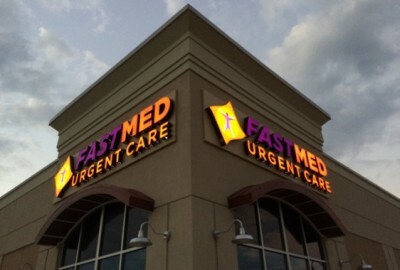 We’re open 7 days a week with extended hours for your convenience, and we accept most major insurance plans, including Medicare and Medicaid.